On one hand I cannot believe I wrote a Passover message prior to Easter. What was I thinking? This Lenten season, Ash Wednesday through today has been a season of continual reflection. One holy day merged into another, and now the Jewish holiday of Passover begins soon.. The Bible story can not only be wonderfully broken down into individual messages of inspiration and wisdom, but it also must be look at as a whole; the same with one’s spiritual life. Long before I was positively influenced by Christ’s disciples in my high school (thank you), I was taught by my family and the religion of our past generations, the LDS Church. Forty years later I recall some of the teachings and hymns of my childhood and fondly sing them under my breath, so as not to be seemingly judged by some of my main stream Christian contemporaries. 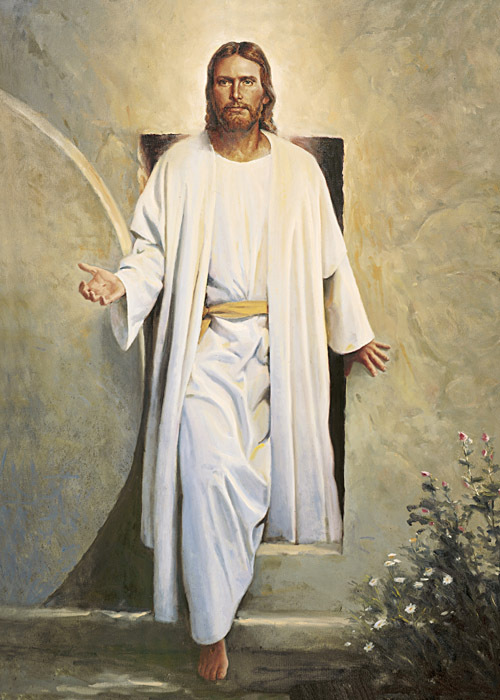 As I think of Easter, this song comes to mind which is a traditional LDS hymn. I only included the first verse and the chorus because that is what rings in my heart and causes me to sing aloud. Is it possible to be happy again, normal? But sometimes it can get very dark. Knowing deep inside I'm blessed, sometimes joyful. Family, friends, a loving wife. A life blessed. When I was younger, unstoppable this didn't need to be addressed. I see a light ahead, just out of reach. One week, month, year of this yet to go. I'll hang in there, because of faith. Faith in a a power greater, that will let this wall be breached. I can because He is risen!